In this post, you are going to get the detailed Omnisend Review 2019 along with full features and pricing policies. A successful internet business today requires proper and well-managed email marketing solution for sending commercial messages to a group of people, using email or push notifications. This greatly helps to enhance the relationship between a merchant and its current or previous customers. The primary reason for doing so is to build loyalty, trust and brand awareness among customers by using emails to send advertisements and request business. Furthermore, email marketing helps in convincing current customers to purchase something or acquiring new customers. If done the right way, email marketing can sky rocket your business into a profitable and successful one. However, that would require special skills and tools to be employed at the right stages of an expanding business. That’s why today I will give you a quick review of an amazing email marketing platform called Omnisend. 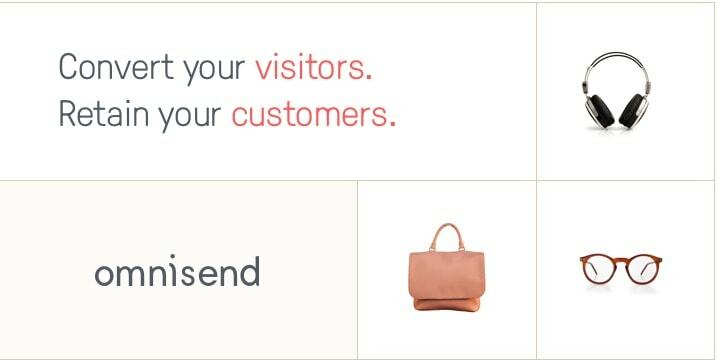 Omnisend is a cloud-based email marketing solution for small and midsize ecommerce businesses. 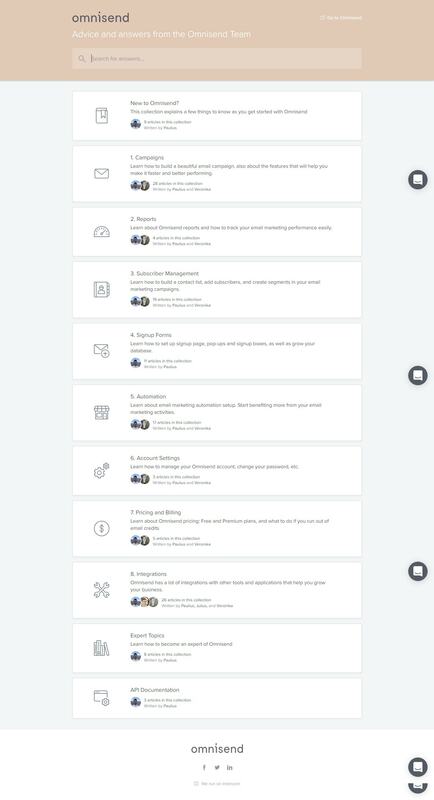 It was designed with a primary objective of providing an automation tool for sales-driven marketers that have outgrown the generic email marketing platforms. It helps users to design email campaigns, review their performance and manage their interactions with visitors and customers and has garnered widespread critical and commercial acclaim for it services. From Newsletter campaigns to push notifications and more, Omnisend offers all the right and powerful tools that can make your email marketing campaign a joyride at least. It can be called as Mailchimp Alternative. Omnisend boast of a state of the art automation system that is really nice is capable of doing the bulk of what you’re doing for your online campaign. These automated steps can really save you time and make you a lot more money. Access to vital insights like who clicked, who shopped, how much money was made, etc. Omnisend’s name comes on the list of top email marketing solutions available on the internet today. Some features are similar to any other email marketing tools you find in the market, but they work much smoothly and efficiently than the rivals. The features and services are top class and easy to use for anyone, whether a newbie or pro. What’s even better is that the tools are capable of handle the email marketing needs for all small, medium or large scale businesses. The platform is way too easy to understand, use and configure. The content editor and easy to customize templates allow you to create the ideal newsletter campaigns and landing pages, just the way you want it to be. The email templates also look pretty professional. You can even customize the pop-ups and push notifications according as per your desire. You can use their Product Picker in the newsletter editor to just pick a product from your store and it goes straight into your newsletter. Furthermore, you can even add an attractive “Wheel of Fortune” feature like you get to see on many websites to attract your visitors into possibly winning exciting discounts and prizes. Ideal for any kind of businesses and can handle any number of subscribers. Smooth and efficient automation emails. Omnisend Subscriber segmentation tool to send targeted messages to specific groups and subscribers. Edit landing pages and push notifications using the highly customizable built-in content editor. Attractive and professional looking box popups to make your project look appealing. Omnisend Automation to save you valuable time and brain cells. Integrations with popular ecommerce platforms like Shopify, Magneto, WooCommerce, and more. Get instant access to stats based on real-time analytics like who clicked, who shopped, how much money was made, etc. The table shown below will give you a clean comparison of the standard package for a different number of subscribers. The prices of the standard package vary depending on whether you opt for a monthly subscription or an annual subscription. It is quite obvious that choosing an annual subscription plan would be more pocket-friendly for you as compared to the monthly subscription. Omnisend also offers a free 7-day trial for both the Standard and Pro plans, in case you want to make sure if upgrading to their paid packages is worth your money or not. For more information regarding all the plans and the pricing system based on the subscriber count, visit the Omnisend official website. Omnisend is a powerful e-commerce marketing automation platform for keen marketers. The tools offered by Omnisend are extremely helpful for sales powered marketers that have surpassed the common email marketing platforms. Therefore, Omnisend support assists you in easily integrating with your most preferred ecommerce platform. it is indeed trusted and used by more than 40,000 marketers in 130 plus nations. Hope you like the detailed post on Omnisend. The platform is really helpful to the marketers who want to revolutionize their online business at affordable pricing.